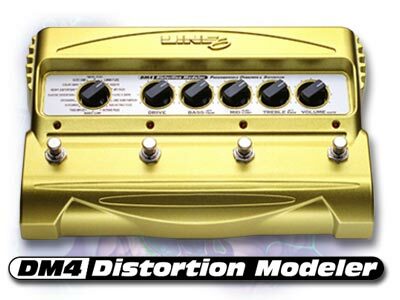 Line 6 DM-4 mention - "The DM4 Distortion Modeler (available summer 2000) will provide all the classic overdrive and distortion pedal tones, as well as new custom sounds." 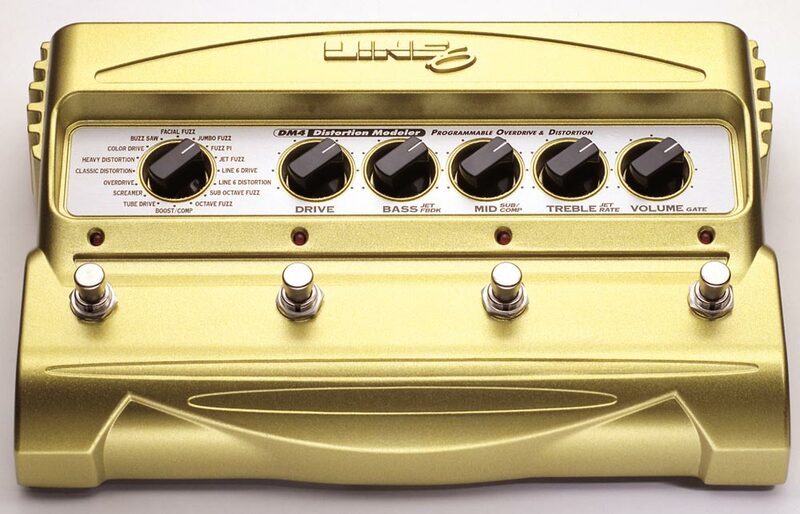 A guitar effects pedal designed to deliver a wide range of legendary effects tones in a programmable stomp box format. 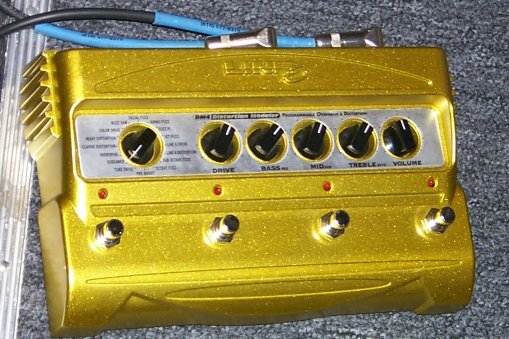 First announced at Summer NAMM '99 at Booth # 2019, but still in development July 2000. 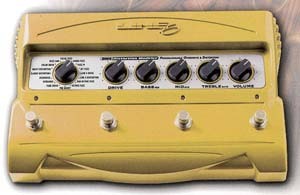 Line 6's Patented Digital Modeling Technology allows collectible stomp box tones to be created, saved and recalled at the mere stomp of a switch. 100% digital and generates new tones that have yet to be heard from previously released pedals. "The DM4 Distortion Modeler (available summer 2000) will provide all the classic overdrive and distortion pedal tones, as well as new custom sounds." Digital modeling of 16 vintage overdrive, distortion & fuzz effects.